Many WAVES wrote short books about their experiences, designed to make the transition from civilian to WAVE easier for other recruits. Marjorie Sue Green’s booklet From Recruit to Salty WAVE! The Ordeal of Seaman Green is an example of one of those books. It’s a highly-illustrated account of Green’s transformation from civilian to military. 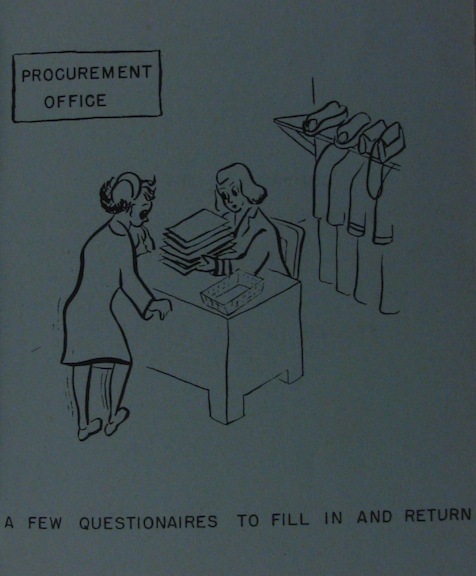 This is one of the first images in the book, showing the experience at the recruitment office.